We are an endurance sports event management company. We own and operate multiple events throughout the region. We also provide contracting services to other event management companies that share in our belief that by providing sport we aid our society in progress, throughout the West Coast. Our Mission: Promote health and fitness by providing services that allow people of all ages and abilities opportunity to participate in competitive and recreational racing. We strive to instill healthy and active lifestyles in our communities. 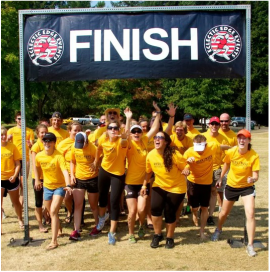 In 2011, owner Blair Bronson, was a senior at Oregon State University in Public Health Promotion and Behavior and was the president of the OSU Triathlon Club. In 2010 and 2011, Blair was the race director for the clubs annual fundraisers the Beaver Freezer Sprint Triathlon and the Beaver Fever Duathlon. With the help of the club, Blair doubled the size of the triathlon to create what is currently the largest triathlon in the USA with an indoor swim. For his bachelors degree, he was require to do an internship. Blair wanted to have a direct impact on the community and had decided, the "normal" public health path was not the one he was going to take. Instead, he took on a somewhat unconventional internship project. Drawing on his previous experience as a race director, he was ready to start. 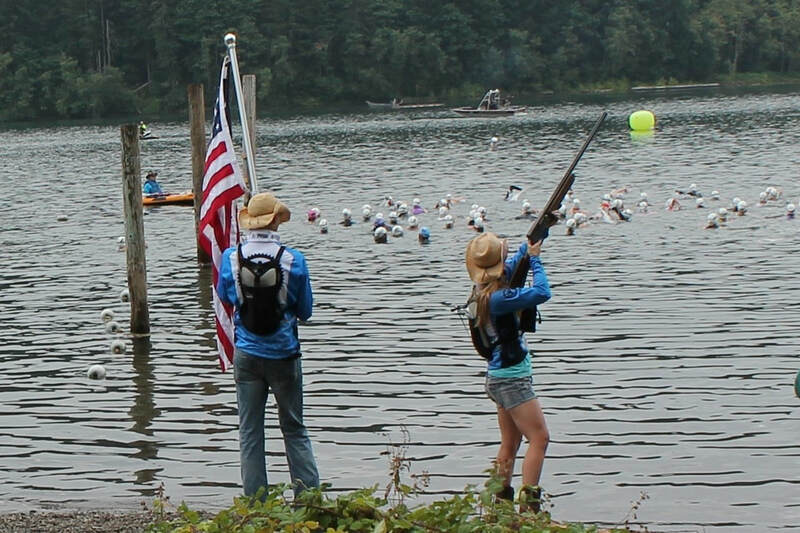 For his project, he started a company and the Best in the West Triathlon Festival. A few months later, the starting gun went off for the inaugural race. Over the next several years, Blair worked with some of the biggest multi-sport companies on the West Coast to put on races like the LA Triathlon, Challenged Athletes Foundation Triathlon, LA 13.1, Del Mar Mud Run, and many more. Staci joined up in 2012 when she started graduate school. She brought an eye for branding and design and learned race directing along the way. 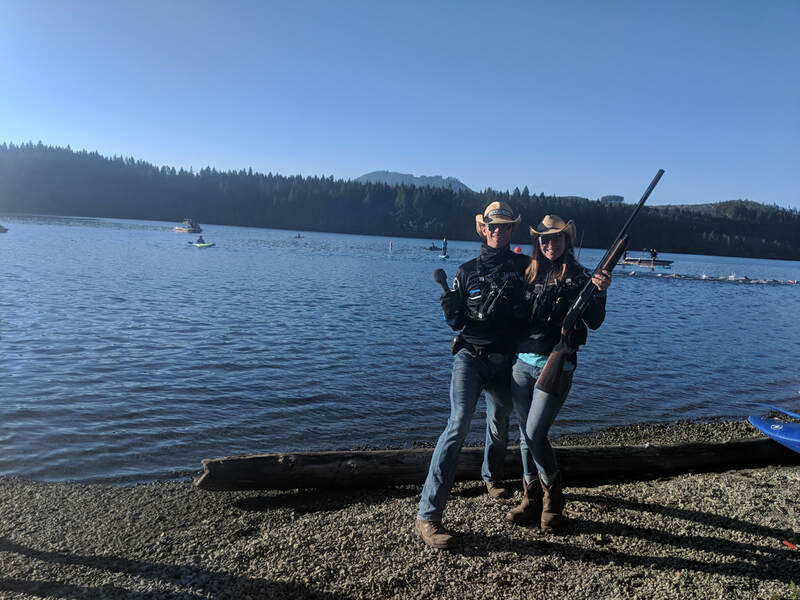 After a few years of working together, Blair and Staci started dating and eventually got married just a few weeks after Best in the West Triathlon Festival in 2018. 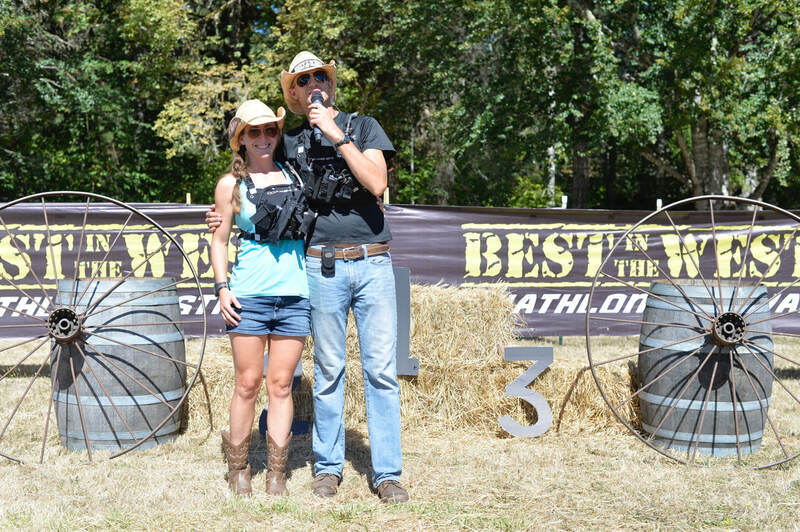 Fast forward to present day and Best in the West Events is putting on a variety of races all season long. Each race is more than just a race, as Blair, Staci and the Posse work hard to make sure the atmosphere is fun and inviting to all, and that there is always a post race celebration. 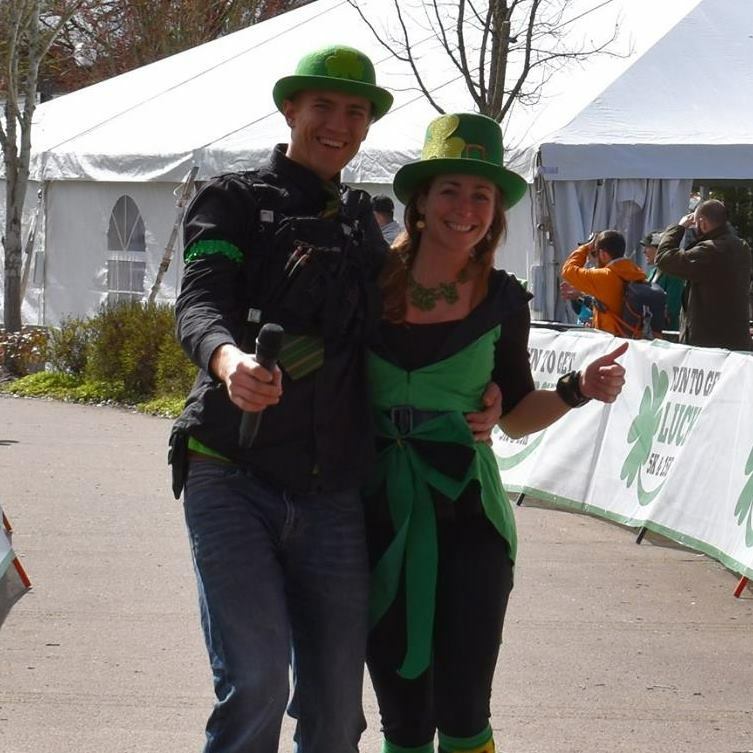 From cowboy hats to leprechauns to prom attire, Blair, Staci and the Best in the West Posse work hard to promote healthy living and physical activity for all, through fun and memorable events. © Best in the West Events 2018. All rights reserved.